I first reviewed downtown SLC’s Caffe Molise – named for the Molise region of Italy – back in 1994. Shelley DeProto opened the restaurant that year and it was a modest affair. The dining room was festooned with white plastic patio furniture and the menu was limited. The food, however, was excellent and I still remember how much I enjoyed Shelley’s aio e oio and the amazing lasagna at Caffe Molise, based on her mother’s and grandmother’s recipe. 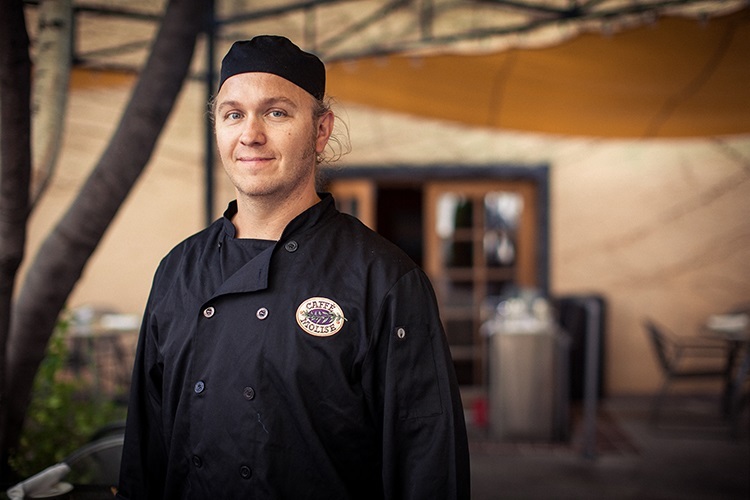 In 2003, Earl Friedrich “Fred” Moesinger, who had been cooking in the Molise kitchen, took over the restaurant and has been at the helm ever since. During the past nearly 25 years, Caffe Molise has grown in size, as has the menu and wine list, and it even gave birth to its baby brother wine bar: BTG. Now, after nearly a quarter century in its Salt Palace-adjacent location on 100 South, Caffe Molise has moved. 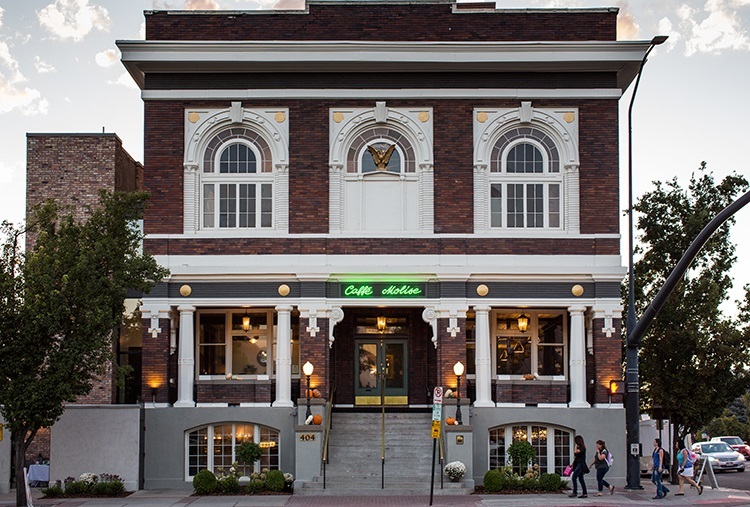 For the better part of the past year, owner Fred Moesinger and his crew have been renovating the historic Eagle Fraternity Building at 404 S. West Temple – former home of The Bay nightclub – and the beautiful space is now home to both Caffe Molise and BTG Wine Bar. Over the years, the original Caffe Molise got more and more classy. But the new Caffe Molise steps up the class quotient another couple notches. Not that it’s intimidating or stuffy. The vibe is still casual, but has a refined, warm look. Dark green and brown tones lend a seriousness to the atmosphere, juxtaposed by crisp white contrasting tablecloths and napkins. 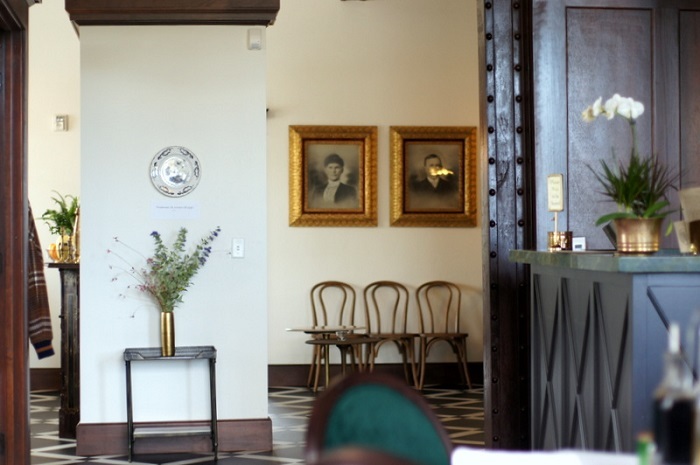 Although it’s a new restaurant, Caffe Molise has a timeless feel and look that nicely befits the historical origins of the building that was constructed in 1915-16. Original architect Niels Edward Liljenberg would approve of what Moesinger and his gang have done with the place. Caffe Molise has never wavered from its Molise-inspired Italian cuisine, which regulars and newcomers alike have come to covet. And, no worries: Although the restaurant itself is new, the menu hasn’t changed much. 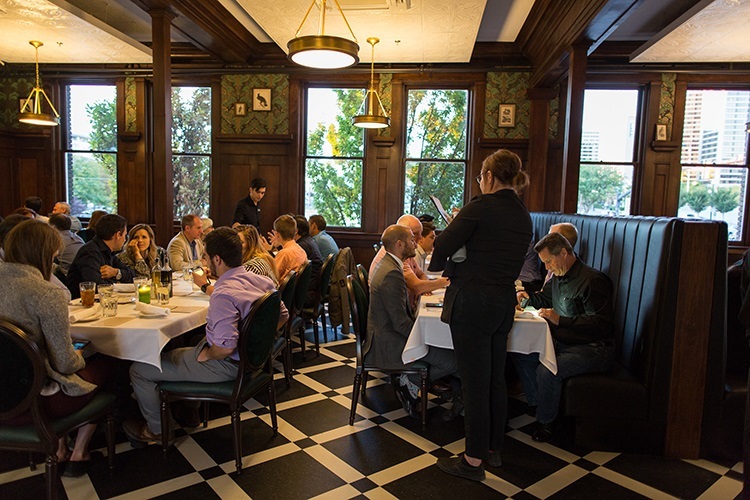 Favorites like the beef tenderloin “Bistecca,” Pollo Marsala, Gnocchi di Patate, Scampi alla Diavola, and of course, the heavenly Lasagne are steadfast, trusted menu items that are probably here to stay. A good starting place at Caffe Molise is a shared plate (it’s plentiful) of Bruschetta Misto ($11.95). 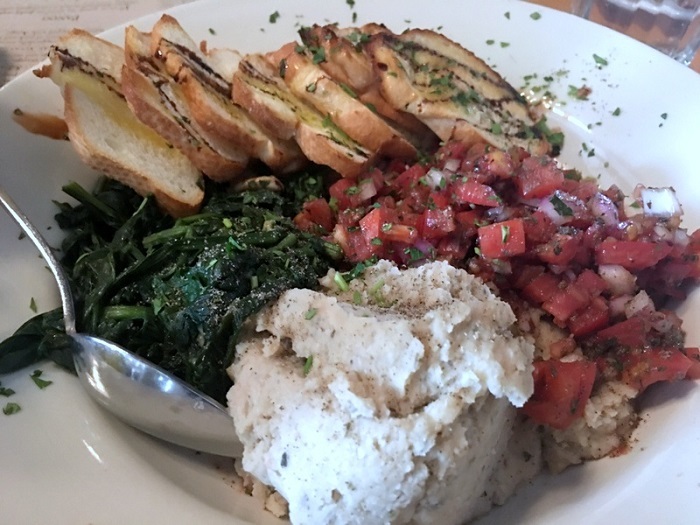 Rustic, toasted baguette slices are rubbed with garlic, sprinkled with parsley, and served with marinated diced Roma tomatoes, a herbed bean puree and sauteed fresh spinach. I also really love the lunchtime Polenta appetizer ($7.95): large wedges of roasted polenta served with a very fresh tasting tomato sauce, parmesan cheese, and garnished with fresh julienned basil. No one could possibly complain about the portion sizes at Caffe Molise. They are generous, to say the least. 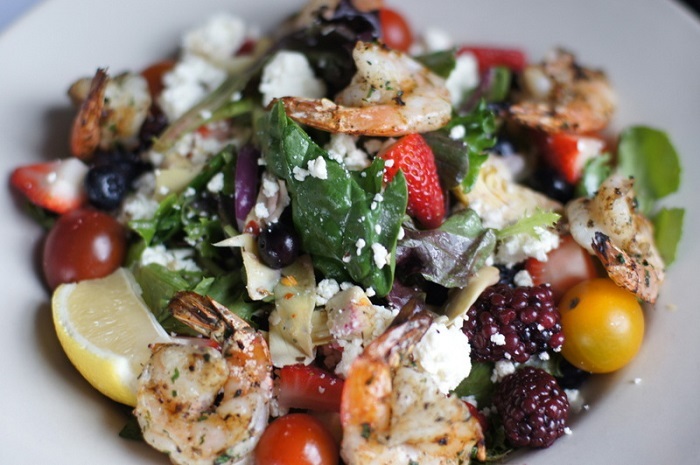 The Gamberetti salad ($15.95), for example, is a large plate filled to the brim with mixed greens and seasonal fruit (strawberries, raspberries and blueberries, currently), yellow and red cherry tomatoes, artichoke hearts, red onion, Feta cheese, and strewn with grilled Gulf shrimp. This is one very satisfying salad. Of course, Italy is known for its pasta dishes and so is Caffe Molise. The Orecchiette al Salsiccia ($12.95) is ear-shaped orecchiette pasta with a sauce of spicy Italian sausage, onion, tomatoes and wild mushrooms. This dish has a lot of zip to it. And the potato gnocchi ($13.95) with tomato-cream sauce, basil and toasted pine nuts is a crowd pleaser. 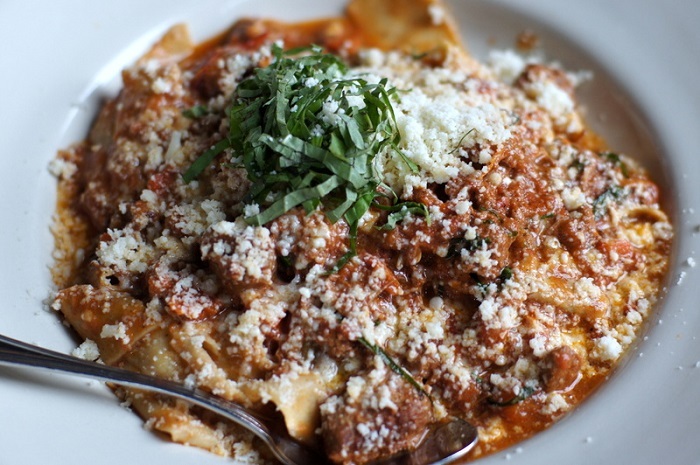 But my favorite pasta offering at Caffe Molise is Pappardelle al Sugo ($14.95). It’s a plate of fresh, thick pappardelle pasta made in-house, tossed in a hearty, robust, slowly-simmered sauce of beef and pork with tomatoes, then topped with grated Asiago cheese and julienned basil. The sauce is so rich and robust that there are large morsels of pork and beef to be found, like meaty treasures hidden within those luscious pappardelle noodles. Sharing a space with BTG Wine Bar means that Caffe Molise also has one of the best wine lists around town, with an eclectic selection that spans the globe from Italy, Spain and France to domestic U.S. wines and bottles from South Africa, Argentina, Australia and New Zealand. I’m really hoping that the move away from the Salt Palace and its convention crowds doesn’t hurt business at Caffe Molise, because the new lovely location deserves to be met with the same success the old one has enjoyed for so long. 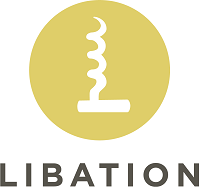 Parking is certainly easier to find around the new spot and both the cuisine and the outstanding service hits the same high notes that this venerable restaurant has been reaching since 1994. The trouble with Italian eating Italian food is that five or six days later you’re hungry again.